You've been eyeing that 4K television for a couple of months, but let's be honest – the price of it has been putting you off. 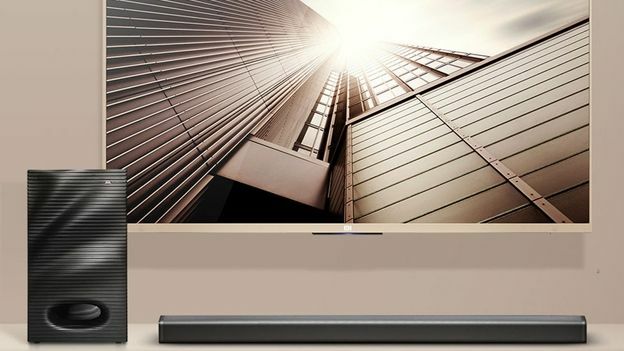 Well Chinese television maker Xiaomi has announced a 4K television for under £400. And at 49-inches, the MI TV 2 is hardly a small television either. Like the MI3 47-inch smart TV it launched in China last year, the MI TV 2 comes with Android installed and runs a MIUI TV skin on top. It's also possible to side-load other television apps if you want. The 4K 3D panel is made be either LG or CSOT depending on the batch. It also comes with a 6.2mm aluminium bezel, which is tiny for such a large screen. Powering the set is a MediaTek MStar 6A918 chip (1.45GHz quad-core CPU, Mali–450 MP4 GPU) with 2GB RAM thrown in for good measure. On top of that, there is also 8GB of built in storage with another 64GB available via microSD. Thanks to not being loaded with brand and advertising costs, Xiaomi has been able to pack in some pretty cool features to the MI TV 2. One of the most noteworthy is that the remote connects to the TV over Bluetooth rather than through infrared. You might be scoffing, so what. But it means that should you lose the remote – and let's face it, we all do it occasionally – you can tap the underside of the TV and it'll make the remote beep until you find it. The Bluetooth smartness don't stop there. The company opted to fit its audio components into separate parts in order to keep the thickness of the TV under 15.5mm. Because the audio equipment is separate, it is possible to use it as a Bluetooth audio kit when you're not using the TV. The set launches in China on May 27th. As for when the rest of us will get our hands on it, well… that's the bad news. The Mi TV never made it out of China – largely due to manufacturing problems.